The aim of this book is to answer a number of charges that skeptics and atheists have leveled against Christianity. Among these charges are that Christianity is anti-science, homophobic, and harmful to one’s happiness, that Christianity fosters prejudice, persecution, and dogmatism, and that it makes God into a celestial vending machine. The author concedes that some Christians have adopted these stances or have been characterized in these ways. But many Christians have not. And this is the kind of Christian that skeptics and atheists should take seriously or consider being, the author asserts, not the distorted versions. The author, David Myers, is well-suited to write such a book. 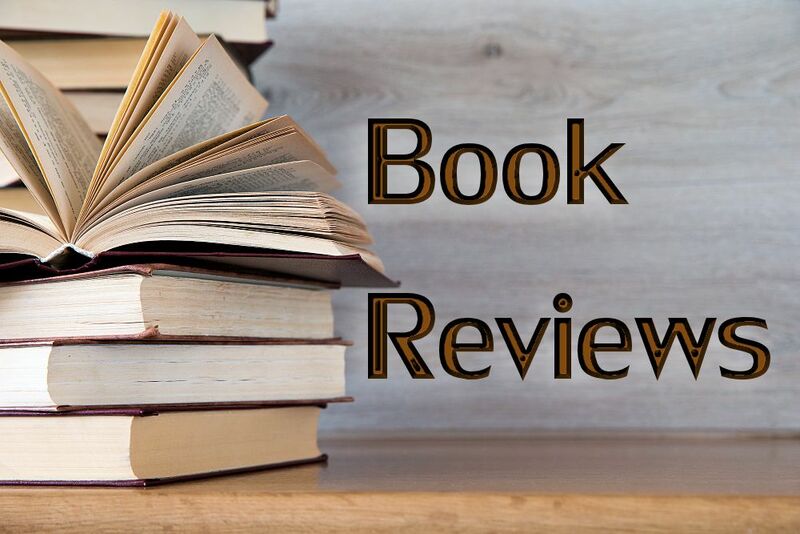 He teaches social psychology at Hope College, is the author of numerous academic and non-academic articles and books, and is the co-author, with Letha Dawson Scanzoni, of What God Has Joined Together: The Christian Case for Gay Marriage. Though a number of Christians think that Christianity and science are incompatible, Myers notes, Christianity is not inherently anti-scientific. The options are not just purposeless naturalism, on the one hand, and anti-scientific fundamentalism on the other. A third option is faith-rooted rationality—the kind of faith that encourages one to be a scientist. Skeptics and atheists should not assume that just because one is a Christian, one also has to be antagonistic to science. Nor should Christians themselves saddle their faith with this antagonism. The same is true, Myers says, of the oft-held Christian belief that people possess immaterial souls. Neuroscience has increasingly shown, Myers points out, that human behavior and mental activity, including thoughts and feelings, are the result of events in the brain. With nothing left for extra, immaterial souls to do, neither skeptic nor Christian need think that people possess them. Nor does one need to assume that God is a celestial Santa Claus granting requests to those who entreat God for them, Myers asserts. Numerous experiments have found that prayer has had no effect on the people prayed for. 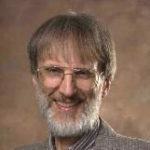 (Myers has long decried a magical, manipulative view of prayer and has repeatedly expressed his personal “Christian and scientific skepticism” about conducting such prayer experiments in a search for empirical evidence.) Prayer is, rather, for adoration, praise, confession, and thanksgiving, plus for asking God for what God will, in any case, give us. Christians have also sometimes saddled their faith with racial and gender prejudices, which, Myers affirms, skeptics and atheists rightly recoil from. Many “faith-heads” also rightly recoil from these, Myers states, for Christianity is not intrinsically antagonistic to gays and lesbians. The Bible has nothing to say about enduring sexual orientation, and sexual orientation is an enduring disposition that is seldom reversed. 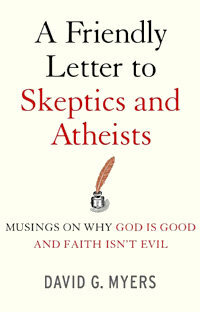 Myers’ scientific bent also comes through in his responses to three other matters that skeptics and atheists stumble over, or, from their perspective, three other charges that they level against Christianity. In response to the question, Is Christianity a source more of compassion or of evil? Myers appeals to scientifically conducted studies that show that Christianity has, on balance, proved to be more benevolent than malevolent. In response to the question, Does an active faith breed happiness? Myers describes studies that point to a yes answer. And in response to the question, Is there a correlation between faith and health? he cites studies that show that there is. I found these last responses one of the most interesting features of the book. Most Christians, myself included, would probably respond to the skeptics and atheists’ three charges by explaining how the ideal Christian is compassionate, happy, and healthy. But Myers knows the scientific literature, because he is a social psychologist, and he knows the mindset of the skeptics, because he himself shares it. This mindset is to use “reason, evidence, and critical intelligence,” and to “put testable ideas to the test.” This is why he appeals to empirical studies. They are what skeptics and atheists will find most convincing. I also found Myers’ style of writing appealing. It is, as the title suggests, friendly. He does not attack, nor does he denounce. Rather, he writes with humility and respect. This is the kind of book I would want to read if I were a skeptic or atheist. The book would not persuade me that Christianity is true, since that is not its aim, but it might prompt me to look more closely at Christianity. And it would also convince me that Christians themselves need to read it so that they will be induced to give up their unwarranted beliefs.